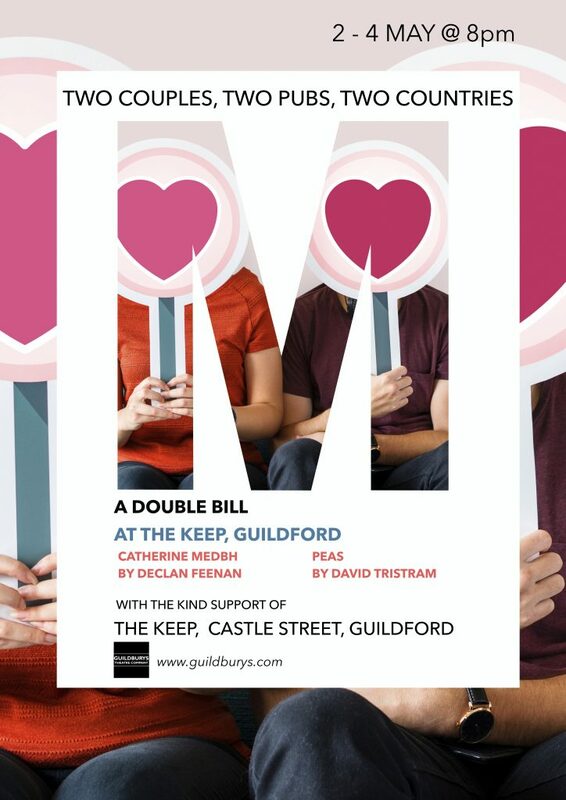 At The Keep in Castle Street, Guildford from May 2 – 4. Theatre Up Close. Set in a pub, performed in a pub – two couples, divided by time and country, meet. In Catherine Medbh by Declan Feenan, we eavesdrop as two former lovers meet in a bar for a drink. Gerry and Daisy are looking for love with a brand new dating agency in Peas by David Tristram – how will their blind date go? Come along and have a drink with them and find out. Only 25 seats at each performance, so book now.